Despite “Low Carb” in the title of my page, the Jabberwock admits to a struggle with actually being low carb. With snowboarding season coming, I have two goals. Goal #1 is the white pair (size M). Goal #2 is the green pair (size S). 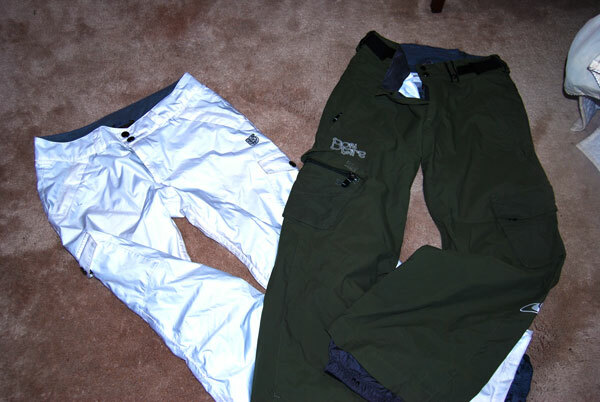 Both of these boarding pants were really expensive, and quite frankly I do not want to go out and spend LARGE $$$ on a third pair of boarding pants which would be size LARGE.